Designed by Jary Lindblom and built by Abo Batvarf, Peter is one of the fastest and lighter Cutters with Marconi rigs of its category in Finland. 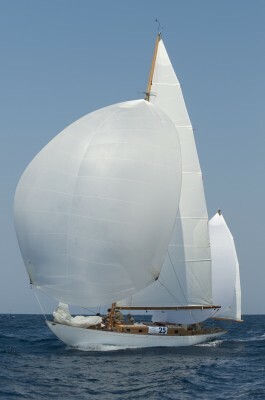 The yacht obtained a great record at the CIM races. Moreover of being an excellent racing yacht, it was built with the space enough to accommodate four or six people. Its sails and masts have been recently made of thin wood following the original plans.